Pico No. 4, circa 1877. 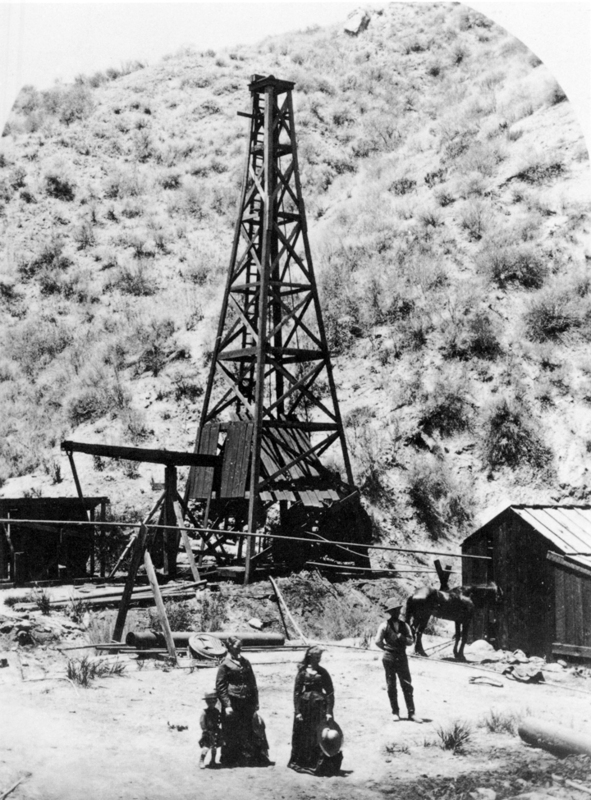 California's first commercial oil well, Pico No. 4 produced 30 barrels per day when Alex Mentry completed it at a depth of 300 feet on Sept. 26, 1876 for the Star Oil Works company. The success prompted the formation of the Pacific Coast Oil Co., a forerunner of Standard Oil Co. of California. Original photo in the Henry E. Huntington Library and Art Gallery.